Children deserve much more attention in urban planning than what they are getting currently. As small children and toddlers are not likely to raise their voices to demand the attention, it is up to us adults to do something about it. We need to support, demand and finance more initiatives that help children – and their parents – enjoy the outdoors, even in urban settings. 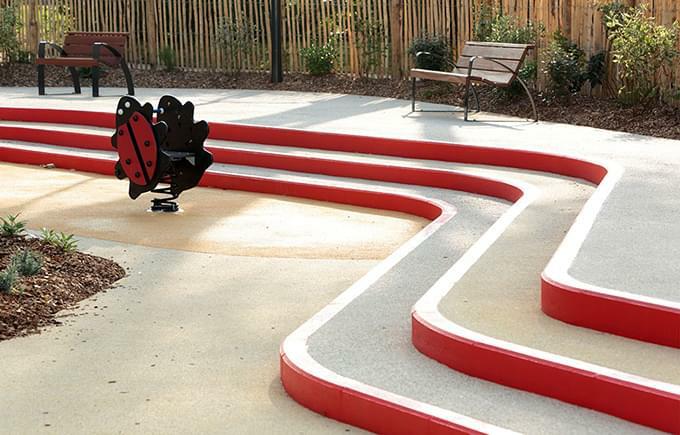 French urban planning and architecture firm Espace Libre, has created a delightful multi-functional play area for toddlers in the commune of Alfortville, located 7.6 kilometres (4.7 miles) from the centre of Paris. 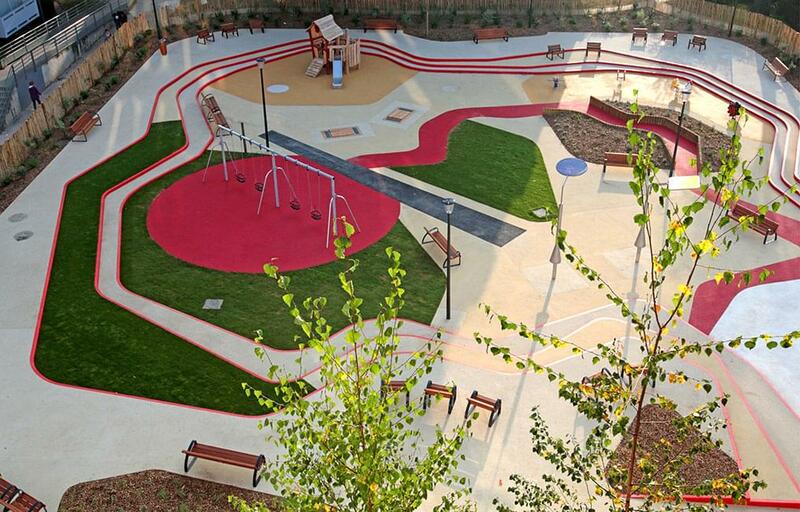 Completed this fall, the 2500 square-metre (26910 square foot) play area includes features that encourage exploration, interaction and experimentation through all the senses. It includes multiple elevations, many kinds of surface textures, many varieties of vegetation and shrubs, and multiple colors. 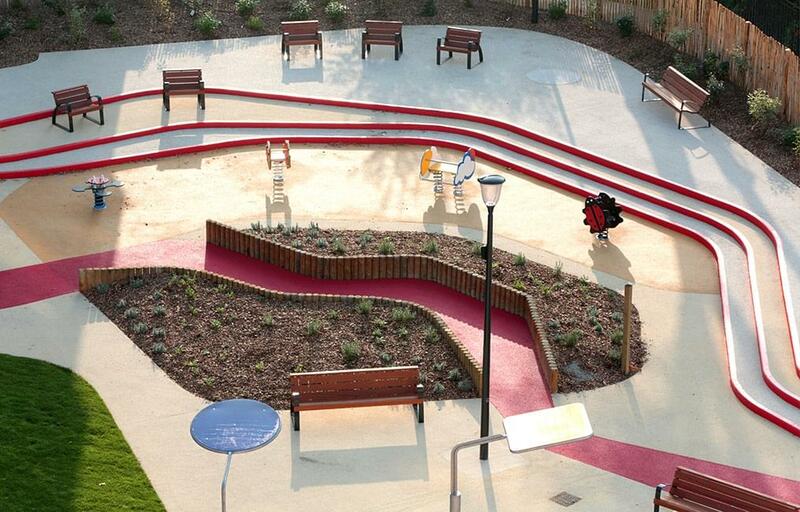 Several kinds of lighting, interactive structures for swinging and bouncing, and interesting surfaces – such as the strip of ‘street’ meant for chalk art – all add variety to the enjoyment of this space. – Tuija Seipell.